I just found your blog and am already a fan! I’ve done a little browsing and must say this is a beautiful site, very nicely laid out and very user friendly. 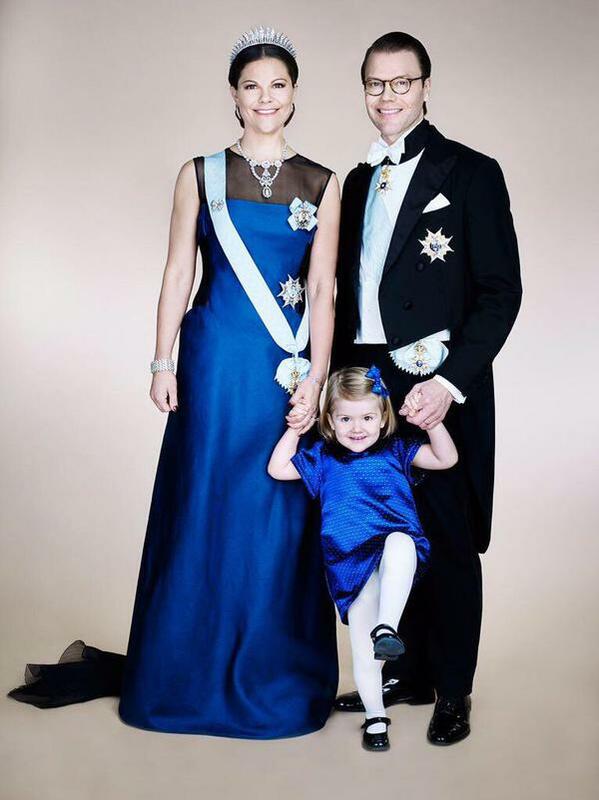 Thanks for posting this lovely picture of CP Victoria, Prince Daniela and adorable Estelle! They seem to be the sweetest family and I’m really looking forward to the new arrival some time next year! Hi Lauri, thanks so much for your kind support! I’m hoping to keep posting more so you’ll have to keep checking back. 🙂 I’m really excited to see the new prince or princess! Should be fun to watch! Love the picture. Little Estelle is just darling, and her parents are so sweet. I love it that they are frequently together on their engagements. I never realized how much Victoria resembles her mother until I saw this picture. I always thought she looked more like her Dad, but now I’m not so sure. Whoever she looks like, she is amazing, and a credit to her family, and Sweden.